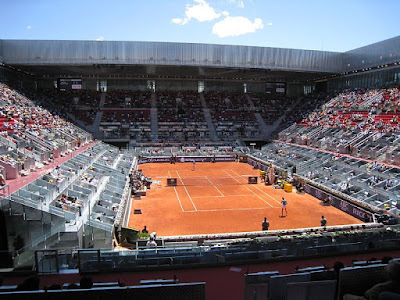 The 2017 Madrid Open tennis tournament for women players on the WTA circuit is taking place this week from May 6-14, 2017, on the outdoor clay courts at the Park Manzanares located in Madrid, Spain. Here is a list of the prize money up for grabs for the women tennis players at the 2017 Madrid Open. The 2017 Madrid Open is a Premier Mandatory event on the WTA circuit which means it has a prize money fund of at least $4.5 million. Actual prize money at the 2017 Madrid Open is $5.9 million. The highest ranked women playing in the 2017 Madrid Open are Angelique Kerber from Germany, Karolina Pliskova from the Czech Republic, Simona Halep from Romania and Dominika Cibulkova from Slovakia. The prize money for the women players at the 2017 Madird Open is the same as the men except for the first two rounds where the women earn a little bit less than the men.